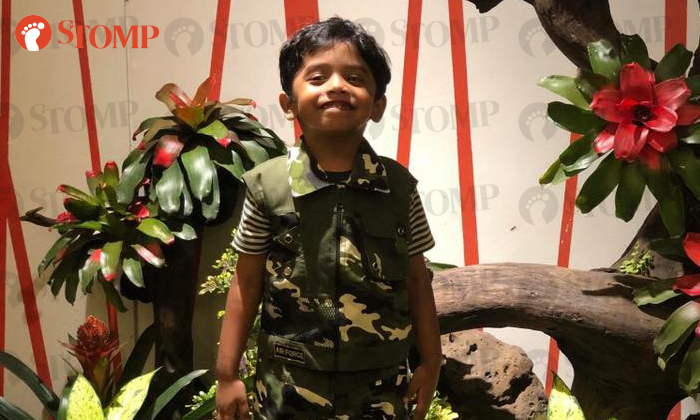 When Stomp presented four-year-old Kavinash Prasad with a Goody Bag, he surprised this journalist by saying: "I have something for you." He then handed her a chocolate bar (which she accepted), and also took out a $2 note from his pocket and tried to give it to her (which she returned to him). 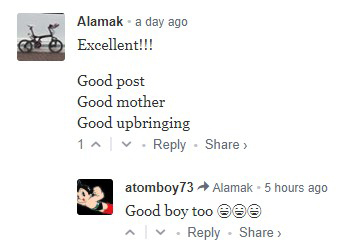 Such is the giving nature of Kavinash, who was Stomped yesterday (April 19) for making an elderly cleaner at Changi Airport cry with his kindness. Kavinash first caught Stomper Anna's attention last Sunday evening (April 15) with the courtesy he displayed towards his mother, whom he kept thanking for buying him food. But what left an even deeper impression on Anna was how Kavinash gave the cleaner, who was apparently in her 60s, a thank you bow and some fruits for her hard work. 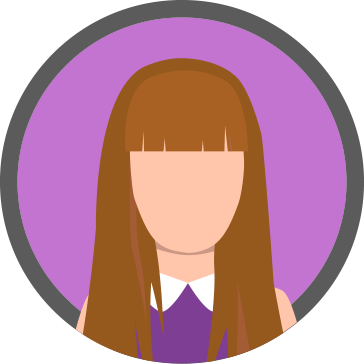 Anna said: "The boy told the cleaner, 'Thanks, Grandma, for keeping the area so clean and for cleaning our table. Please have some fruits and rest.'" These words touched the cleaner so deeply that she broke down in tears. Kavinash's mother, Ms Uma Devi, told Stomp in an interview today (April 20) that the family had just been making a "random visit" to the airport to use the playground and were having dinner when the incident occurred. "It's a natural thing for him to bow whenever he says thank you. "I said, 'Why not? You choose the fruits' and he picked some apples." It is not the first time the Saint Paul’s Church Kindergarten student has radiated warmth and generosity towards others despite his tender age either. "Kavinash always does this for pump attendants, cleaners and other needy people," said Ms Devi, a 32-year-old counsellor and tutor. "Once, during the Chinese New Year period, I was busy packing red packets for pump attendants when he asked me, 'Mummy, can I donate something from my piggy bank? "He's very protective over his savings, but he took out $2 notes from his piggy bank and said he wanted to pack five red packets. I told him to go ahead and he went to the petrol station with me to give it all out. "Another time, we came across an auntie who picking up cardboard boxes and said, 'Let me help the auntie to carry the smaller boxes.' Then he ran to her, picked up all the boxes, and gave them to her. The family also does a lot of charity work, such as making house visits and packing food rations for needy or single-parent families, which Kavinash and his two-year-old sister, Kaavya, actively take part in. Ms Devi added: "When we were giving out rice and oil, Kavinash actually came up with a question that made me think. "It made me realise what we had overlooked and of course, we bought milk powder from then on. "For the past three years on his birthday, we bought food for the cleaners around our neighbourhood as we find it to be a more meaningful way to celebrate than anything else." Despite being a long-time Stomp reader, Ms Devi never expected to see her own son featured in an article. "I just screamed. And when I read the article, I realised it was indeed him. "It was definitely a special moment and totally unexpected. We don't go around doing this to be noticed. For us, it's about appreciating other people. "This is one of my proudest moments as a mother." Kavinash's father, 33-year-old systems engineer Mr Mahendra Prasad, added: "We were not expecting anything or any recognition in any way. But we are very proud of him." Asked if she had any words of advice for fellow parents, Ms Devi said she believes that it all starts from one's own behaviour. "Children always replicate what parents do. By setting a good example to them, I think they will just pick it up on their own. There's nothing to be taught," she told Stomp. "Kavinash thanks me for every little thing, whether it is buying him his favourite toy, showering him, putting him to bed, or reading him a book. It really makes me feel good." When Mr Suresh Sandrasagaran, 34, read about Kavinash's heartwarming deed, he was so moved that he decided to act. Besides reaching out to Kavinash's mother and Stomp, and linking both parties up, he also roped in his friend, Ms Arveen Sandhu, 30, who is the founder of a bakery. Ms Sandhu, who owns The Sweet Room by Arveen O'Leary Keesha, baked a chocolate cake for the young boy and presented it to him during today's interview. She said: "The moment I read the article on Stomp, I was very touched because it's so hard to find something like that done at such a young age. I felt very, very happy and I decided that he deserved this whole cake to himself. "I learnt that he loves chocolate, so I decided to bake him this nutella cake and thought he would love it. I also topped it with colourful M&Ms because it's colouful like him." Upon receiving a Stomp Goody Bag, Kavinash exclaimed, "This is awesome!" and excitedly looked through its contents. He later asked his mother to help him put one of the items back into its plastic wrapping, which she promptly did. "Thank you, ma. Thank you." Know someone who deserves a 'Goody Bag' or had a memorable encounter? Share your story with us at stomp@stomp.com.sg or WhatsApp (+65) 9384 3761. Watch Kavinash receiving his cake from Ms Sandhu in the video below.